Airbus A330neo Vs Boeing 787-9 – Which Is Best? 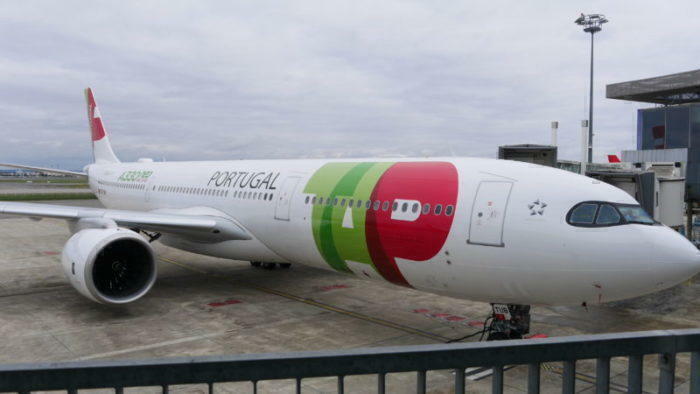 Very recently, TAP Portugal took ownership of their new Airbus A330neo. Many don’t know that the A330neo was always been touted as the answer to the Boeing 787-9 Dreamliner (With the Airbus A350 vs the Boeing 787-10 being the long range competition). First revealed at the 2014 Farnborough Airshow, the Airbus craft has had a few orders but nowhere near the amount that they have expected to beat the 787. 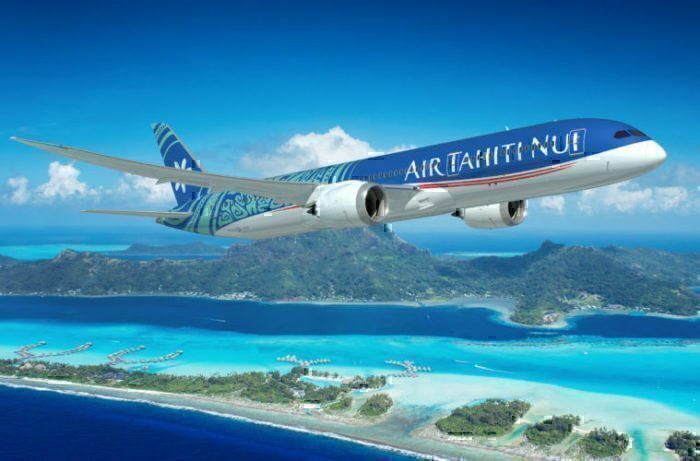 The new Boeing 787-9 for Air Tahiti Nui. In fact, its this sale to TAP Portugal that Airbus hopes will inspire airlines to take up the A330neo. Critics have been quick to point out that the 787 has been built on a whole new design whilst the A330 is based off a legacy design that is dire need of updating. The 787-9, of course, has found great success serving Qantas on their long-haul Perth to London route. Which planes will we be comparing? Now, there are plenty of versions of both the Boeing 787 and the Airbus A330neo. Specifically Boeing 787 -8, -9, -10 and Airbus A330 – 800, -900 (Both classed as neo). 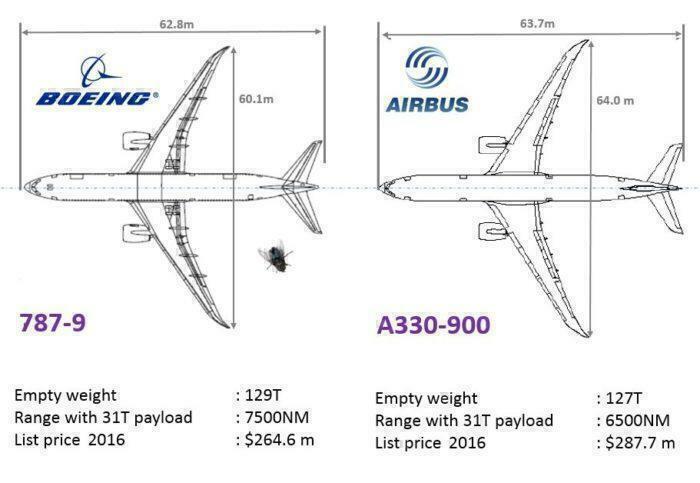 As this graph below shows, they sort of leapfrog each other, with Airbus trying to beat Boeing’s offerings at each turn. We will be looking at the relationship between the A330-900 and the Boeing 787-9. The Airbus A330-800 has had very little orders (8 in five years!) and might be canceled outright, and the Boeing 787-10 is easily matched by the Airbus A350 (Which you can read here!). Also, we will be looking at what makes the most sense from an Airline point of view, rather than what is more comfortable for passengers. The Airbus will be very quiet and the Boeing will have more room, but do these translate into dollar signs? So which is better? Let’s find out. This is where most airlines will make their money, and its no excpetion in this case. The Airbus A330neo has listed a higher exit row than the Boeing, and can sit an extra 10 more passengers in a two class configuration. The dimensions of each craft compared side by side. Both the two planes are roughly equal in size, but the Boeing 787-9 has a little more room inside width wise, but the A330neo is a little bit longer. This is where it gets really interesting. Because the Boeing 787 is made out of composite materials, and the A330neo is made out of the typical heavy metals in most plane production. We see this the relationship between fuel capacity and range, that the Boeing 787-9 has a bigger range with less fuel. How much does each plane cost? Airbus has always prided itself on trying to out beat Boeing on price (thanks to their government subsidization) but it looks like in this scenario Airbus is unable to beat the production line already set up by Boeing. This is a tough question, essentially, the Boeing 797-9 is cheaper to buy and cheaper to operate (far less fuel and better range). But the A330neo can fit more passengers on board and will be a close competitor on routes that are shorter than their maximum range. What do you think? Which is the better aircraft? You did not mention anything about bleed-air; I know the 787 does not use bleed-air for conditioning the cabin air, but what about the 330 neo? I believe this is a significant comfort and respiratory concern for passengers and crew. As a passenger, I prefer A330. Seating is better, 2-4-2 is much more convenient than 3-3-3. Seats are wider. The obvious fault in these calculations is that you look at the list price, not taking into account that the airlines, especially for the large orders, get huge discounts on the frame cost and also, and especially, on the cost of the engines. Plus, the maintenance contracts – who does them, how, etc. – can lead to the millions of dollars of savings or extra costs. Therefore, without taking these issues into account, you provide an analysis that is too simplistic. Hi Leo! Oh yes of course, Airbus and Boeing will heavily discount the prices of these aircraft to make a sale. Its no doubt that if they can get a 100 unit order they will sell each one for pennies on the dollar. Plus, Boeing is moving the bulk of its income away from building planes but actually just repairing the ones they have already built. However, I think that its fair to say we don’t know what airlines will pay for these planes and therefore any price would be matched. Airlines will buy them depending on a variety of other reasons. No service comparison is made. Boeing claims vastly improved servicing costs over prior models of aircraft. I have heard no claim from Airbus on how much cheaper it is to fly and service its aircraft during an operational cycle. I would give Boeing the edge here over Airbus offering with its A330NEO. Service costs affect airline ticket prices directly as does the fuel consumption. The author has missed a big talking point in this article by not opening up the costs of equipment operations from the ground up for an airline point of view. Not taken into consideration in this comparison is long flight passenger comfort. The composite structure of the 787 is less dramatically less prone to corrosion and fatigue around its fasteners, and it has greater overall strength. This allows two big changes to the cabin atmosphere. Humidity is raised from the typical 5% in an aluminum plane to 15%, and pressurization is increased to lower the equivalent surface altitude experience from 8,000′ to 6,000′. The result is that after a long flight the folks on board a 787 will feel dramatically better. Add that to the above, and this is no contest at all. Hi Craig….I’d like to add to your comment regarding cabin pressure. A330 in normal operation has a cabin altitude equivalent of less than 7,000 ft. And this applies to most large passenger aircraft, due to the altitudes we normally fly them. Further, clinical studies find that white noise has a more significant impact in achieving comfort than the difference between altitudes, and that cabin pressure change rate control has a more significant impact than the actual cabin pressure. Honestly, the a330neo was a last-ditch flop compared to the 787. How does the 787-9 fly farther with less fuel while also weighing more (with fewer passengers) as the analysis suggests? 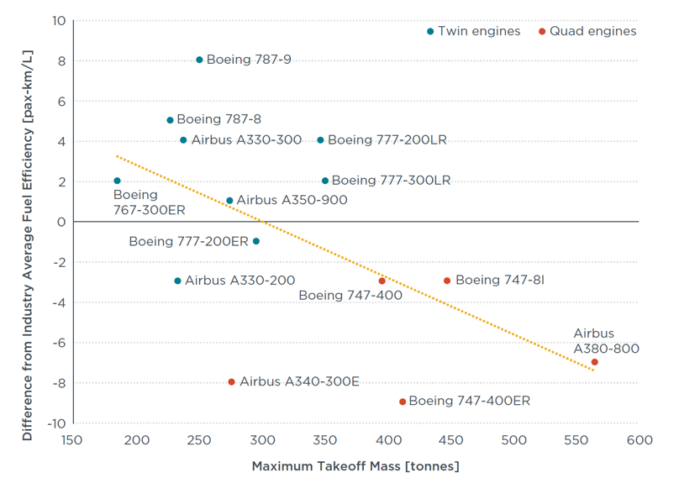 Does this analysis fail to correct the difference between Boeing providing data on their aircraft equipped for service and Airbus calculating weight for an unequipped aircraft? If that is the case, it makes sense for aircraft made out of lighter material to be, in fact, lighter and therefore needs less fuel to cruise while also flying longer. Garrett, the weight table only lists zero fuel weights. A fully bagged 787-9 weighs 10 tons less than A330 and can fly farther due to better fuel efficiency of the GEnx and RR Trent 1000-10’s. Also that 10 ton less total weight is huge for less fuel burn on TO and first legs of flight. My understanding is that the 330-neo was supposed to be early to market with cheaper price due to lower development cost and paid for assembly line. However, it was delayed and the 787 price has dropped as Boeing has begun to ramp up to 14/month. So the cost is near equal up front. The 787 is more capable with lower long term costs. Airbus is at roughly 4-6/month (capacity 8-9/month) with a small backlog (8/234) compared to the 787 (84/396/159) at 14/month (2019). The market has spoken… 787. Startup costs for airlines already using A330 CEOs, acquiring A330NEOs would be minimal in comparison to the Boeing 787 Dreamliner. Maintenance Costs for the aircrafts favours the A330NEOs because the A330 NEOs are one of the most cost effective aircrafts to operate on the planet,where as the 787 Dreamliner is a very expansive aircraft to maintain. Operation costs over routes between 15,000 KMs range favors the Dreamliner slightly, as the A330 NEO 800 has the abilities to compete with the 787s over this range. 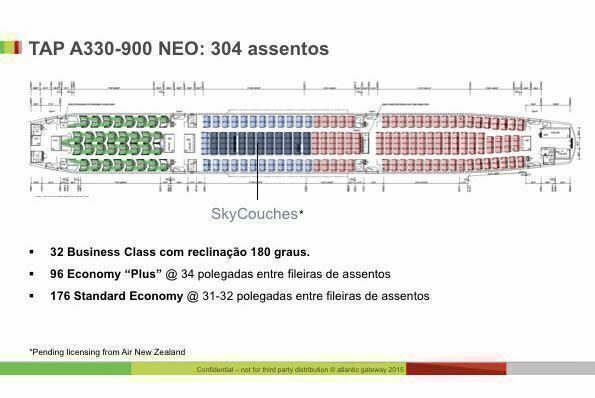 A330neo — 2-4-2 18″ seats in typical configuration vs. 3-3-3 17″ seats in the 787. For a seven hour flight the 787 would be immediately off the table if the A330 was also available. I’d pay $50 to $100 extra to do the Airbus. And what about cabin pressurization? Does A330neo provide a cabin altitude such as B787?